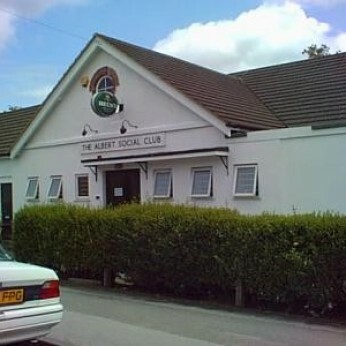 The Albert Social Club was established on its present site in 1922, making it probably the oldest Social Club in Fleet. We have all the traditional club/pub games Darts, Pool, full sized Snooker Table and we have recently had donated by members a large screen TV on which we show Live Sports. Our Function Room can cater for up to 125 people and is available for hire. It offers great privacy for all private functions and boasts its own bar, dance floor, stage and restroom facilities. Go to Hall Hire page for further details. So please take a little time to look round the site. If you like what you see or have any questions please feel free to contact our club Secretary or come along any time when we are open and have a look round, our bar staff will always be happy to answer any questions you may have. You can contact our club on the above number or email and we will get back to you.